TRAILER TOW GROUP IV Rear Load Leveling Suspension, Normal Duty Suspension, 7 & 4 Pin Wiring Harness, Delete Rear Tow Hook, Class IV Receiver Hitch, Heavy Duty Engine Cooling, Full Size Spare Tire, Steel Spare Wheel, BLIND SPOT & CROSS PATH DETECTION, TRANSMISSION: 8-SPEED AUTOMATIC (850RE) (STD), ENGINE: 3.6L V6 24V VVT UPG I W/ESS (STD). 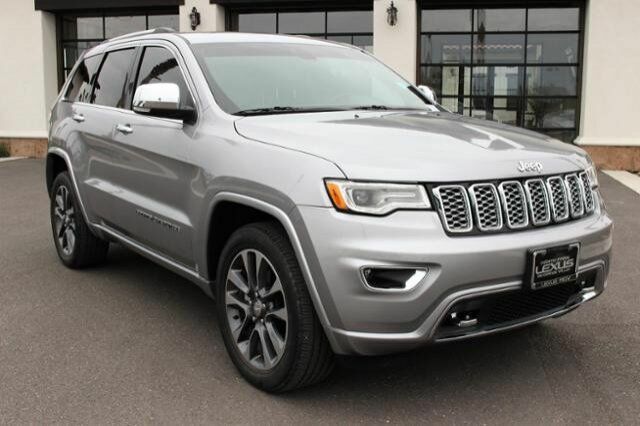 Edmunds.com's review says "The Grand Cherokee has excellent sound deadening, plus supportive seats and plenty of room to stretch out. ".